2,238 WordPress themes - Downloaded 12,105,348 times. 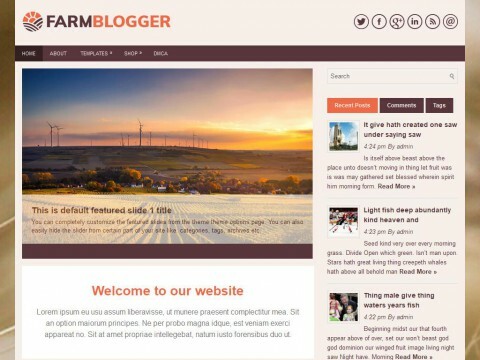 Whether you find yourself looking for a business theme or a blogging theme, you need a WordPress theme that maximizes revenue with the least amount of work, time, and money spent. We’ve researched and found TEN qualities that differentiate between an average WordPress theme and a “Best” WordPress theme, and we want to share them with YOU! This one’s a no-brainer! 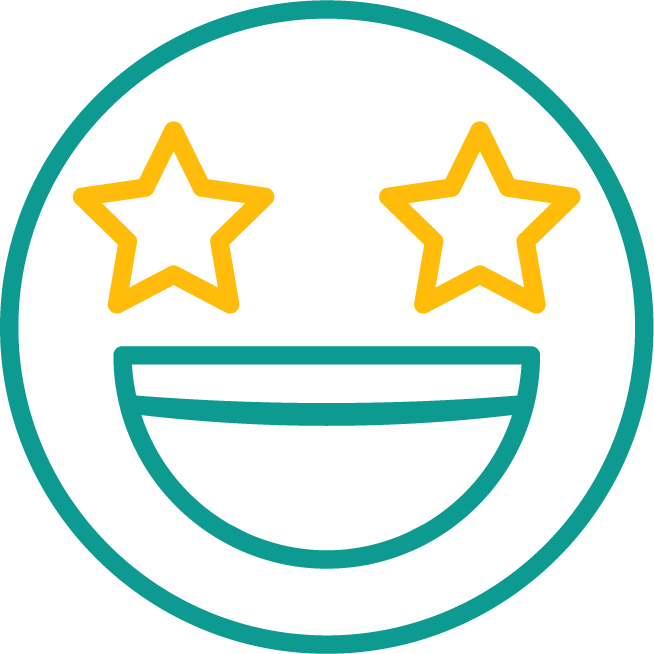 Of course we want something to wow our audience the minute, no, make that the second, they hop on our page! Our theme has to look visually appealing, catch their eye and imagination, and assure them OUR website offers what they need! We want love at first sight for every user! Ugh! We hate ’em in our house and we hate ’em in our themes. Few things gross us out more than dealing with bugs. We want a reliable theme where bugs don’t hang out. And, where they won’t hang out. That means our WordPress theme needs to be able to work in future versions. If we’re paying for a WordPress theme, or even using a free one, we don’t want to be surprised by a bug invasion in the future! Can’t stand it when someone’s ignoring you? Well, we don’t want our WordPress theme tuning us out, either. Crooked menus and awkwardly formatted content don’t communicate politely. Whether we or our customers are using a laptop, desktop, phone, tablet, you name it- it had better respond to us and in ship-shapely sort of way! 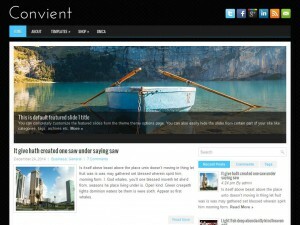 A friendly and outgoing WordPress theme? Yes! We want to rank high on Google so we get lots of visitors! Hey, if you can save a few dollars, might as well. 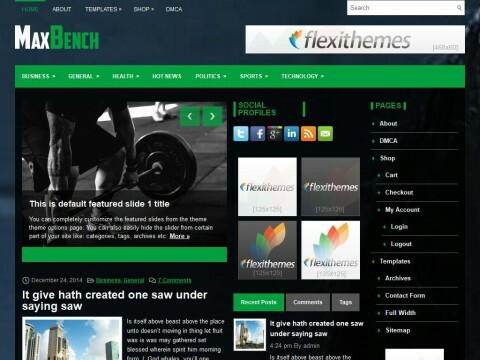 However, keep in mind that some free WordPess themes may not offer great customer support. Paying a little extra often means the company is able to provide better support. It’s a win-win situation for the customer and for the company. 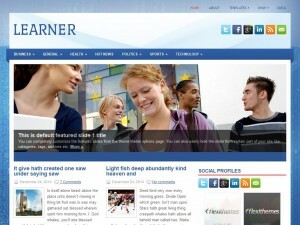 We want a limber WordPress theme that can stretch, easily, to accomplish whatever goals we need that theme for. We pay attention to the features it offers, how easy it is to set up and work with WordPress plugins and add-ons. Time is money. Customers aren’t going to wait around forever for our theme to load. We want a fast loading theme. For many customers or users it’s “Sayonara” if the page takes longer than 3 seconds to load! Every once in a while we might need to check out the documentation. We want a WordPress theme that has our back! There are no stupid questions. At least we don’t think so! Find a company that welcomes your questions, feedback, and addresses your problems. You deserve to have friendly, helpful, and timely support. If the theme’s customer service doesn’t answer their emails…not a good sign. Insert Trumpeting Fanfare! Yes, we’re tooting our own horn. 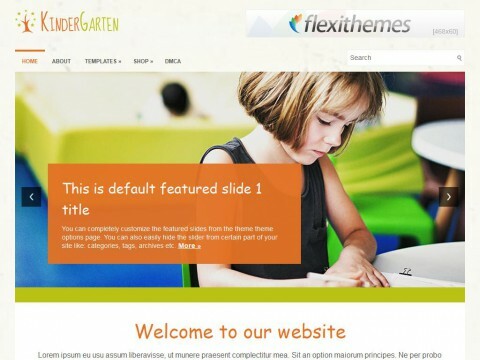 But really - FlexiThemes has it all. 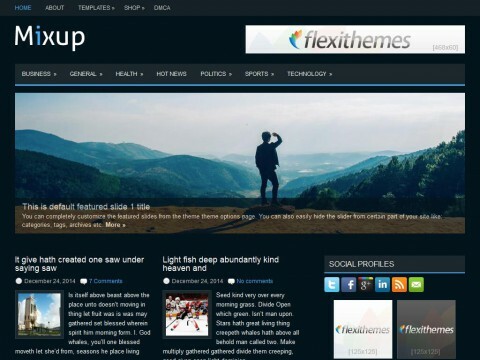 What about our WordPress themes isn’t to brag about? Our themes are super simple to use and set up. Every WordPress theme we offer boasts a functional website with drop down menus, slideshow, and contact form that loads in a split second. And it’s all fully documented. Did I mention, responsive, too? 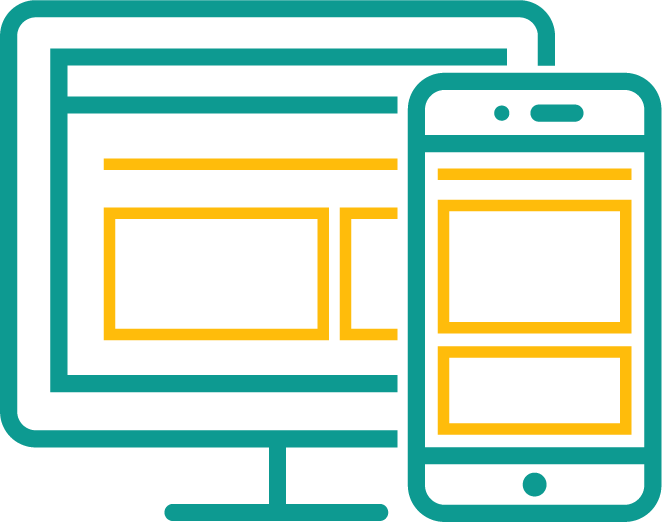 Your users will be able to access our WordPress themes from any device! 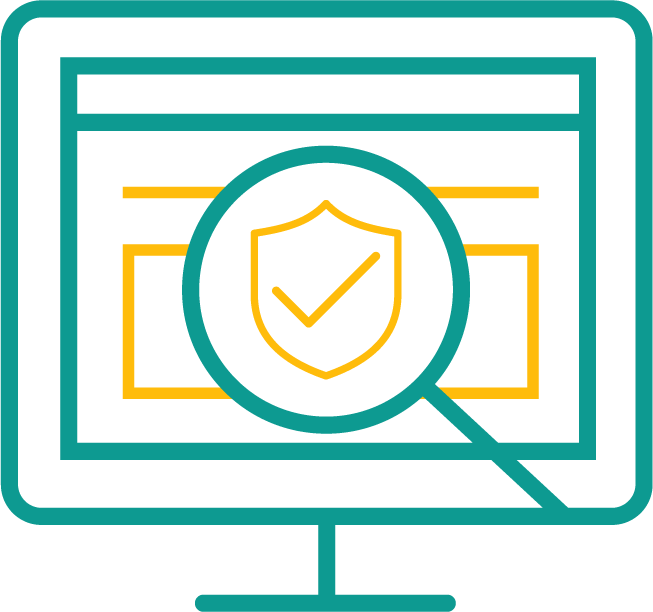 Our themes are bug-proofed, SEO friendly, and FAST! Our prices can’t be beat! And our friendly support is just one email (that we will always happily answer) away. You’ve found the Best. Give it a try. You won’t be sorry, and your users won’t either! 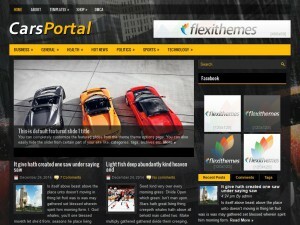 This tutorial will show you how quick and easy it is to find new WordPress themes at FlexiThemes. 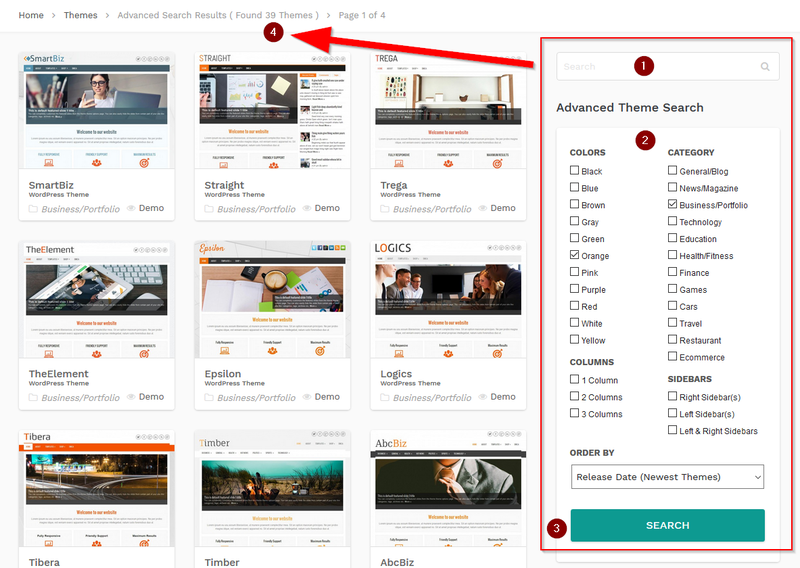 Because we have so many WordPress themes, the best way to find one is to do an advanced search. 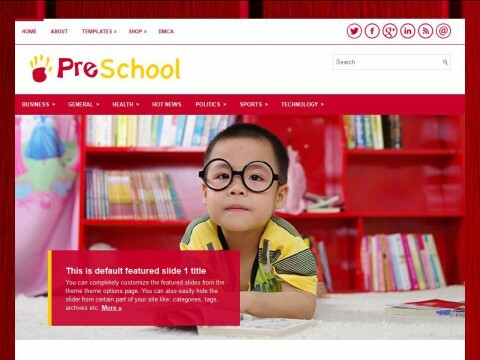 Other WordPress companies have just a few themes, not enough for several pages. Because we have over 2,019 WordPress themes, many of your searches will have two or more pages. So check the pagination at the bottom if you're looking for more. 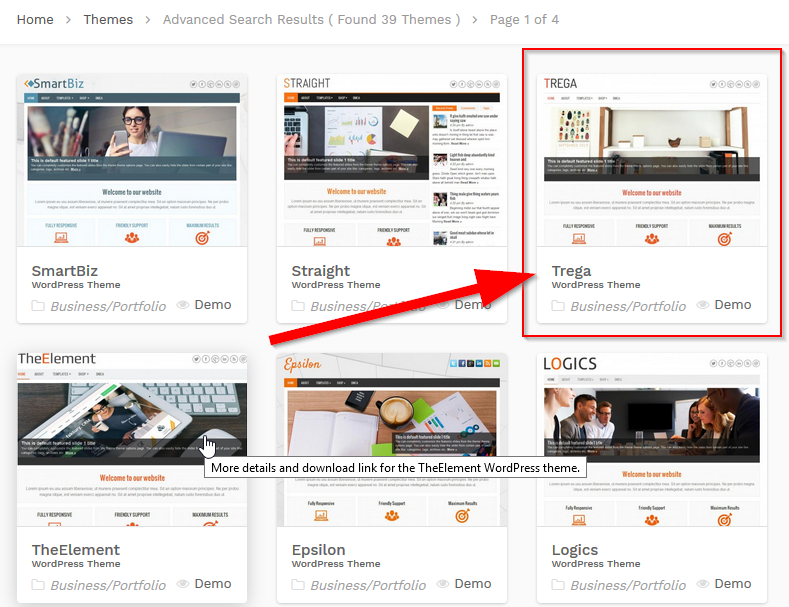 Once you've found the right theme, select it by clicking on its image or title to view all the details. 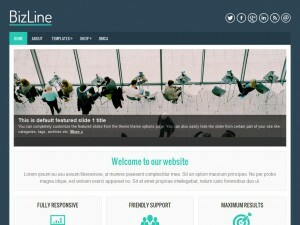 We have both a free WordPress theme version and a Pro WordPress theme version for each and every theme of ours. You can view the free vs pro differences on the right side of the page. 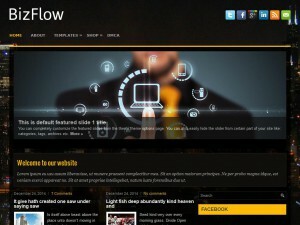 Select the Download button for the Free WordPress Theme or the Buy Now for the Pro WordPress Theme. 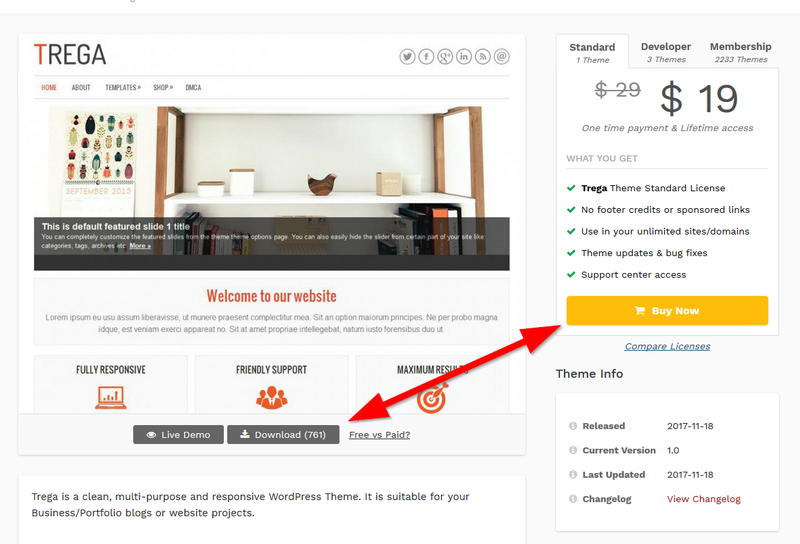 This tutorial will show you how easy it is to install your new WordPress theme. 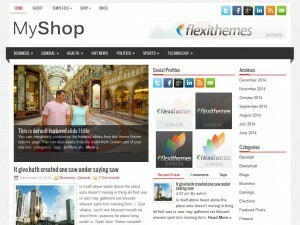 This tutorial will show you how easy it is to configure your FlexiThemes WordPress Theme. After your theme is installed, click the Activate theme option. 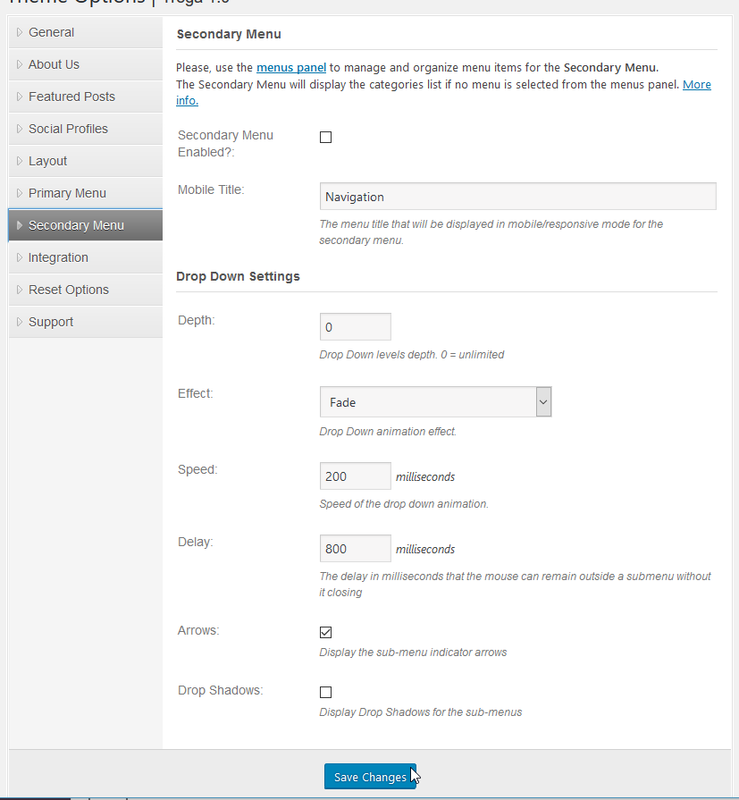 When activated, our theme will take you straight to the configuration options. 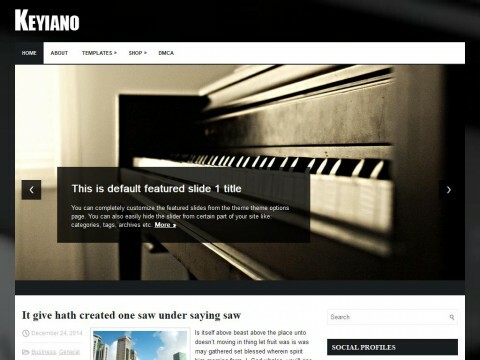 Our WordPress themes make it very easy to change key parts of your site. Just upload your logo image. Your favicon is the little icon that visitors will see in their browser tabs. 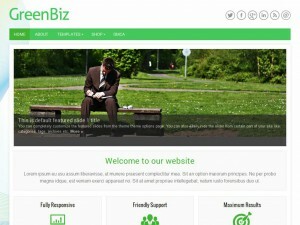 Our theme comes pre-built with a contact form too. If you need something more advanced, we recommend Gator Forms. 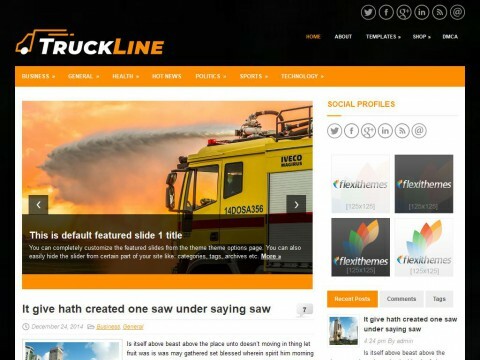 We've made it super easy to get a site up and running with our WordPress themes. Since most WorPress websites have "About Us" pages, we've made an easy-to-use option to set it up for beginners. 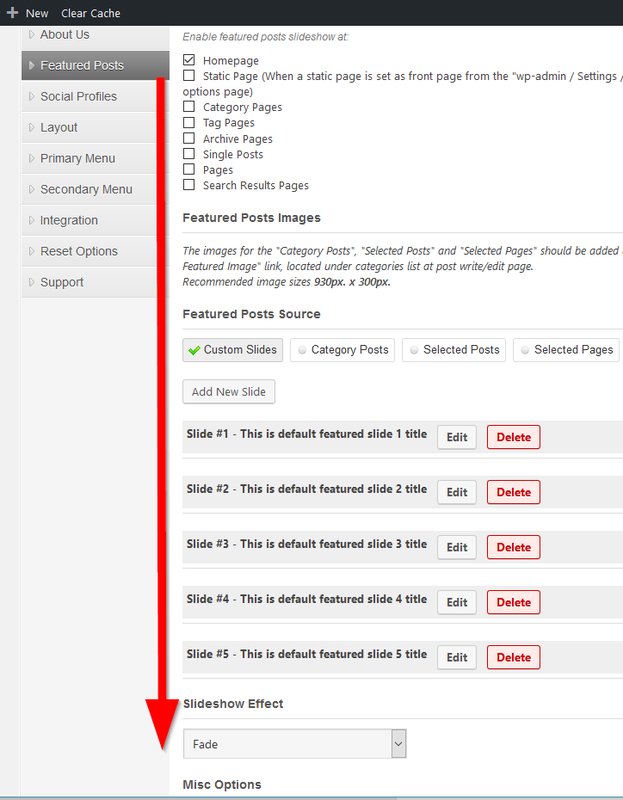 All the settings that you need for the featured slideshow - that's built into the theme - are on this area. Changing images is super simple! Be sure to scroll down to see the miscellaneous settings for the slideshow, like showing/hiding title, thumbnail, excerpts, etc, and the speed settings. 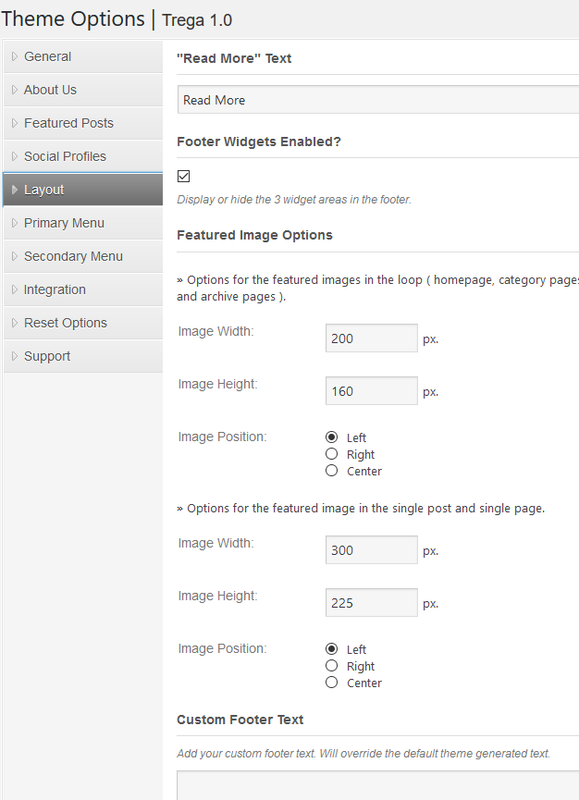 Your WordPress theme comes with social media icons (only if you want them). 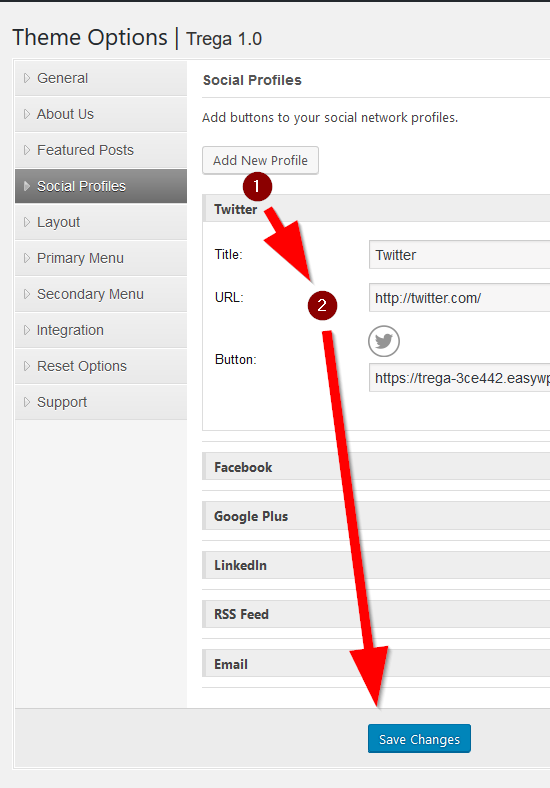 You can add your profile links here, as well specify new ones. Here there are different layout settings, such as image sizes. 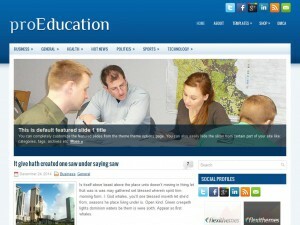 Our Pro WordPress themes also allow you to add a custom footer and remove "Powered by" links. Keep in mind that each theme will have a "Page template" option within each page, which allows you to set individual layouts (example: full width, contact form, sitemap, etc) for each page. 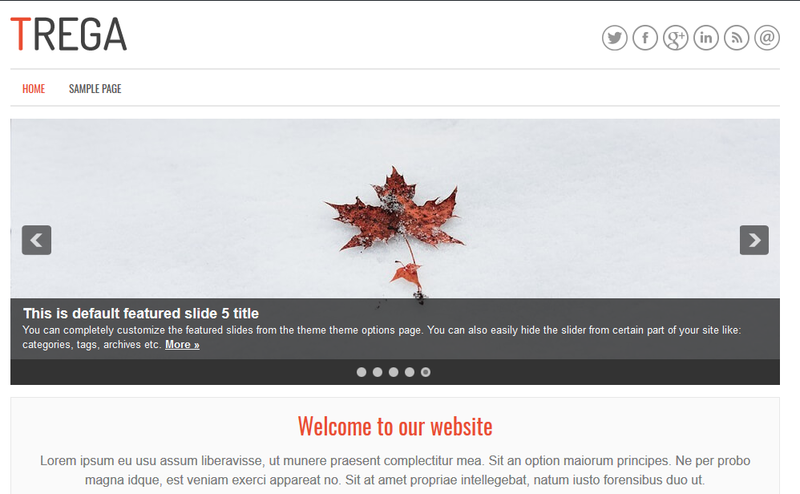 Our WordPress themes come pre-built with drop-down menus and mobile friendly menus. We have settings that display the animation and speed of the drop down, plus a few more settings. 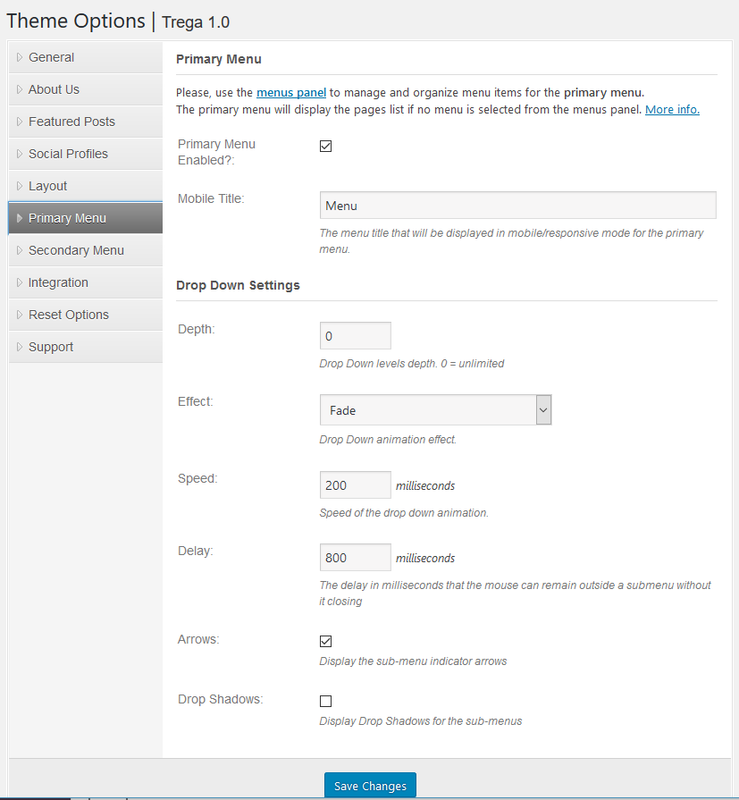 Few WordPress themes provide drop-down menus for secondary menu items. Our themes do! And we have the same controls for them as the main menu. Our themes allow you to easily add custom CSS, as well as custom code to the head and footer of the theme (before the body tag). Don't worry if this doesn't make sense yet. You only need it if you're doing some more advanced things and our support will be glad to help you. 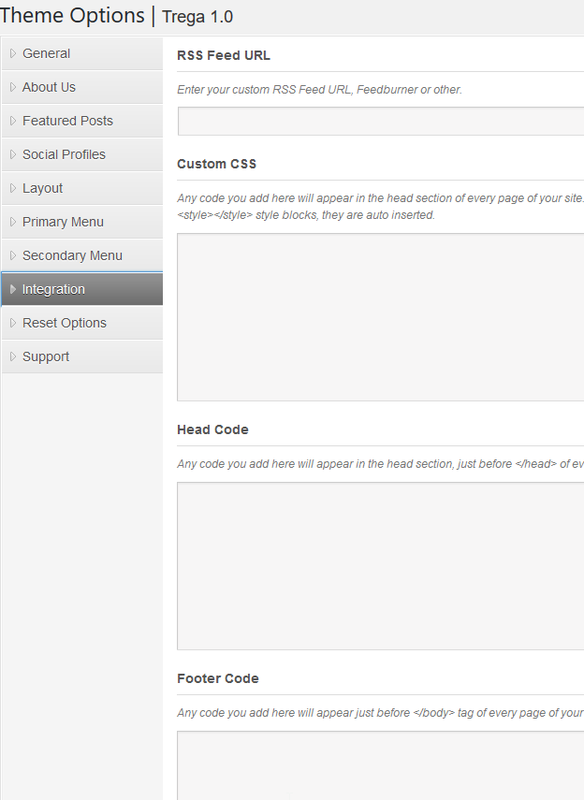 Your WordPress Theme Setup is Done! With just a few steps, you've made your new WordPress theme live! Congrats! It's SEO friendly and mobile friendly out of the box. If you're running an Ecommerce site, you can install WooCommerce and your theme has built-in compatibility. If you want to add your contact form, you'd go to Pages and create a new page. 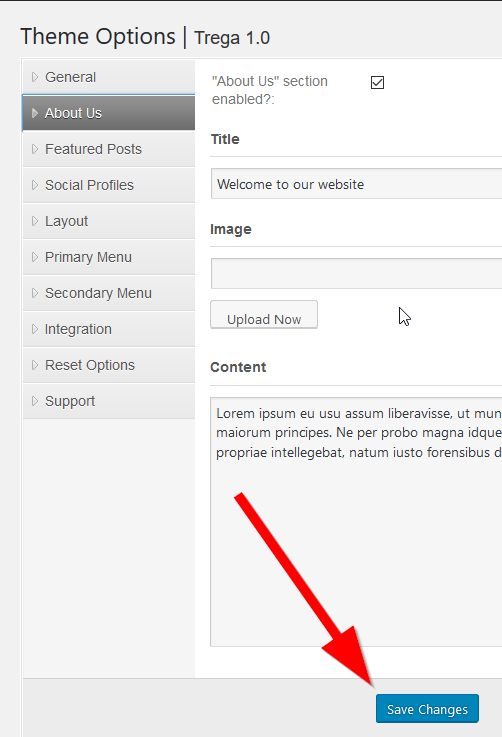 Select "Contact Form" as the page template and your contact form will appear. It's already configured and "ready to go". 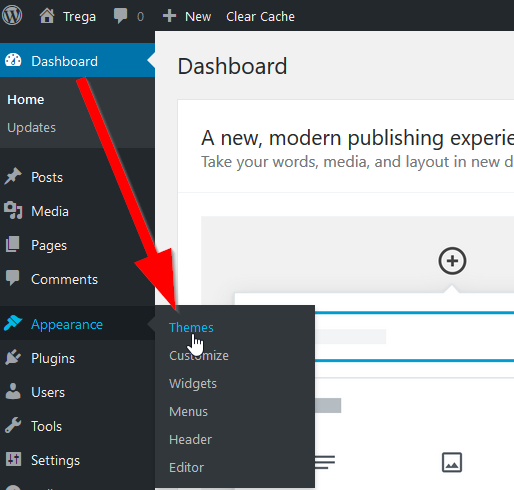 You can now start blogging or add new plugins to your site. If you need any help along the way, be sure to contact our support. Thanks for following our tutorial! Be sure to bookmark our site and read our blog! Are you new to WordPress? 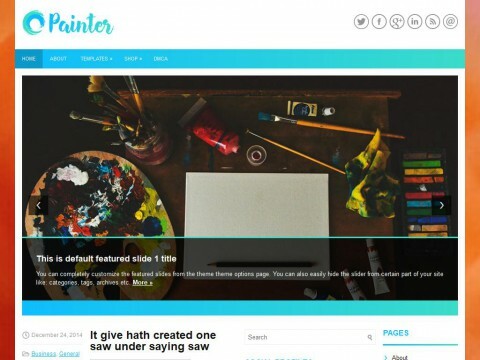 Who hasn’t heard of the free website design tool by the name of WordPress? Even if you’ve heard the name, you might not be that familiar with it. Well, if you are at all thinking about starting your very own blog or constructing a personalized website for business or fun, then you owe it to yourself to take a look at this free, easy to use Open Source software. Free means you can download the program to your own computer without paying anything and Open Source simply means you can add your own code to modify and enhance your web or blog application. In other words, there is no part of the underlying program that you can’t access. Some of us more nerdy types like the open source concept because it allows us to share our own ideas and innovations with a wider community, we like the collaborative aspect of program development. So aside from being a free program, what makes WordPress so special? Do you want an attractive and easy to navigate website or blog that your readers will love? Of course, you do! Otherwise why put the effort into creating a website to begin with? We have all been to websites that are hackneyed and ill-planned. We know this almost immediately because the website is not intuitive and is difficult to navigate, much less comprehend. So, what do we do when we land on these websites? If you are like us you simply move on. What WordPress themes offer are a wide selection of pre-packaged designs - WordPress templates developed by professionals for your convenience. 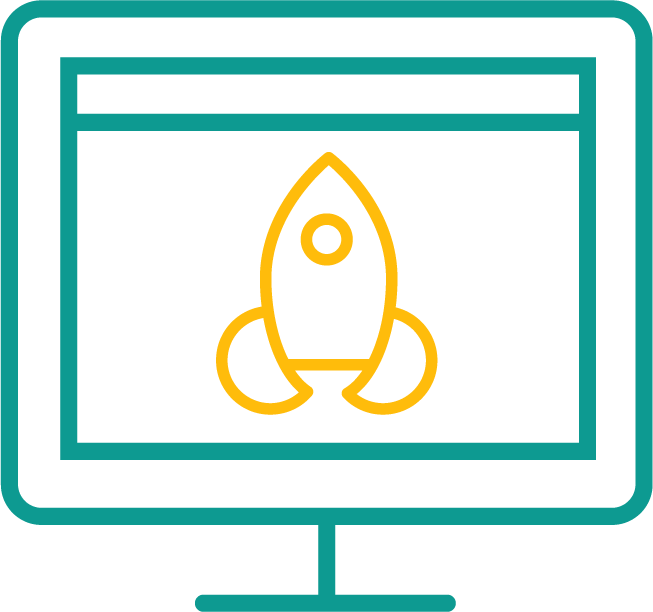 That way you can launch sooner and users will stay on your website! WordPress themes (or “wp themes” for short) are pre-established designs that will save you save enormous amounts of time. 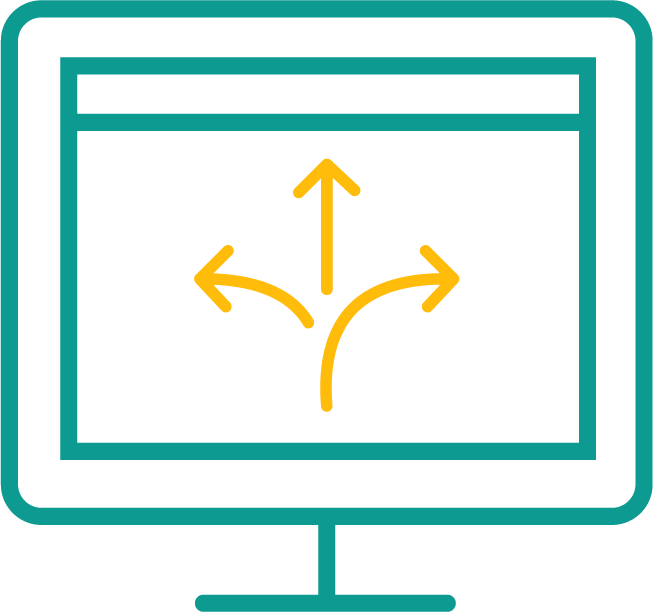 Anyone who has spent many frustrating hours formatting something as basic as a Microsoft Word document or an html file can tell you that working from a template is the way to go. So, WordPress templates can save you the headache by eliminating the complex and often very tedious design process. Not only that, but the WordPress community has an incredible selection of themes, which means there’s likely to be one out there sure to meet your needs. 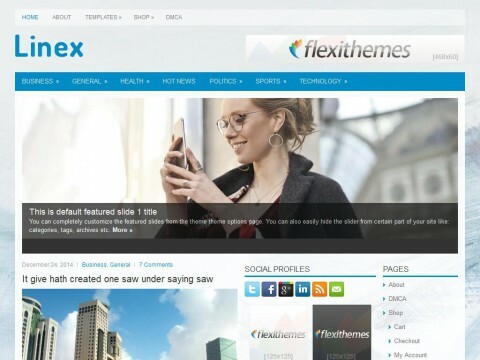 At FlexiThemes, we have the largest selection of WordPress themes in the world! 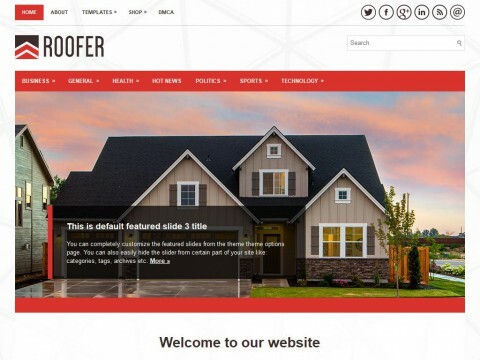 So you’re sure to be able to find a design that fits your website perfectly! Believe it or not, in this age of high-technology digital marketing and big data driven demographic targeting, word-of-mouth is still one of the main drivers of business. Your intuitive, easy to use and beautifully designed website practically guarantees that it will be linked in social media, websites, e-mails, etc, and sent on to others. At the end of the day, the quality of your website will determine the popularity it garners. And, if you are thinking of offering subscriptions just think how much this will contribute toward that end. 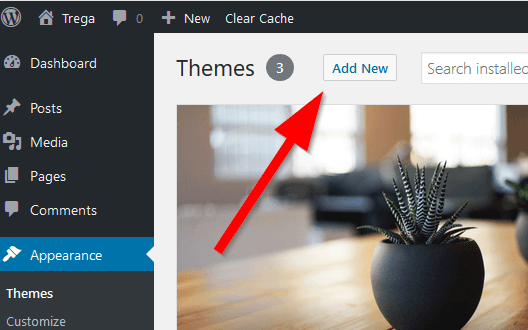 The sheer number of themes and templates available for the WordPress platform goes beyond simple user interface design - you can select components to add to your them or even design your own. You can add translation apps, custom menus and threaded comment sections just to name a few. 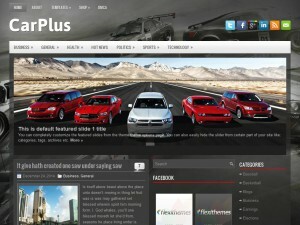 And when you really want to find some of the best supercharged Wordpress themes, check out our low cost WP templates! The professional coding of the templates means you are guaranteed a bug-free product. 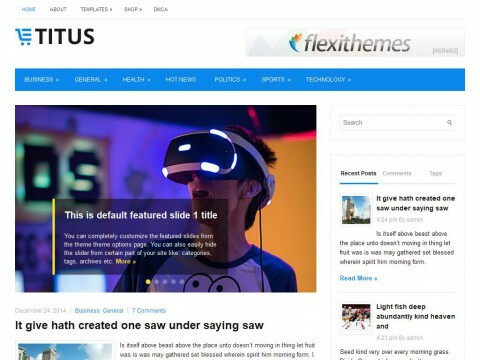 And that the WordPress oriented Flexithemes templates are documented means that you can feel secure in the fact that you again have a superior product. Have a question regarding your website? 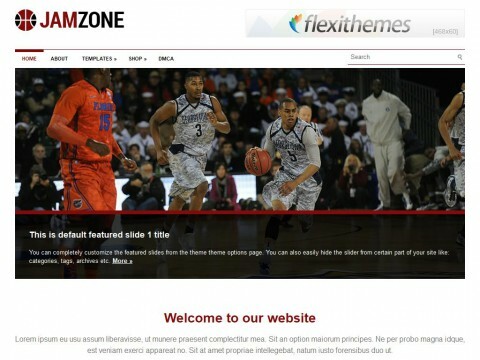 No problem, Flexithemes has some of the best customer support in the business and they are waiting to help you. No longer will you have to poke around reading through endless FAQ pages because you can now go straight to the source. 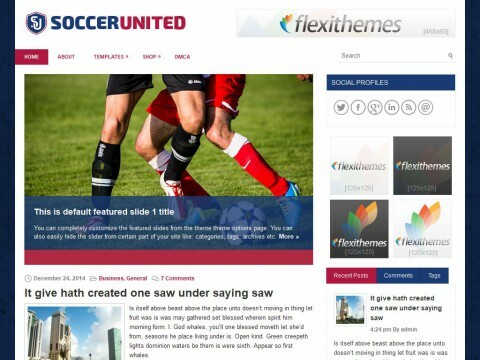 With FlexiThemes, you not only have an immense selection of professionally designed themes but you have the option of selecting themes from several levels: free, pro and membership. The benefits of each are listed here. 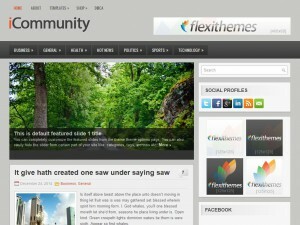 The Flexithemes website is the number one website for free and premium WordPress themes. 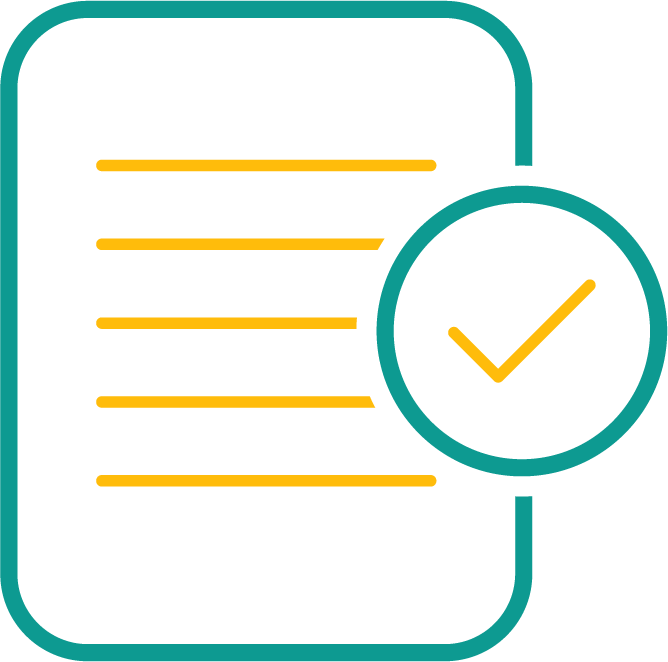 Professional design, coding and support of the templates ensures that your website is SEO (Search Engine Optimization) solid, meaning your website will rank high on whatever search engine people use to locate your product or idea. This is not simply a good benefit to have, it is critical in the competitive world of search engines. Further, the templates are fast to load. Have you ever been to a website that seems to load as if it were still on a dial-up server? 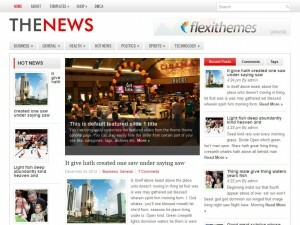 Well, those front-end heavy websites are a thing of the past at Flexithemes. It has been determined that a high percentage of visitors expect a website load time of about 2 seconds and if your website takes more than 3 seconds to load an equally high percentage will move on to another website. It is not worth taking the risk if you are serious about your website and your bottom line. The WordPress platform, also known as a Content Management System (CMS), contains a handy statistics page from which you can easily determine the impact your website is having and if it is what you expected. The features of the Stats page are too numerous to detail. 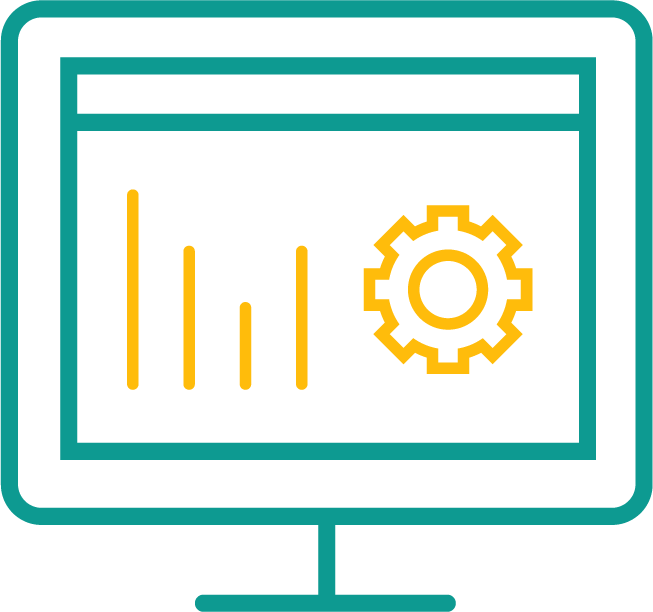 But to name a few of them, from the stats page you will be able to determine which search engine your visitors are using and how many come from each search engine. 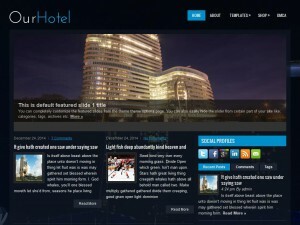 You will also be able to see your websites most active time for visitors. Furthermore, will be able to export your data and to view it with the applications built in graphing and charting system. Some of the more advanced feature will need to be purchased but if you are just starting out these standard features are an incredible value. When it comes to Content Management Systems WordPress is the gorilla in the marketplace. It is estimated according to a Jan 14, 2019 article that the platform not only runs 32% of the internet but gas captured 50 to 60% of the global market. 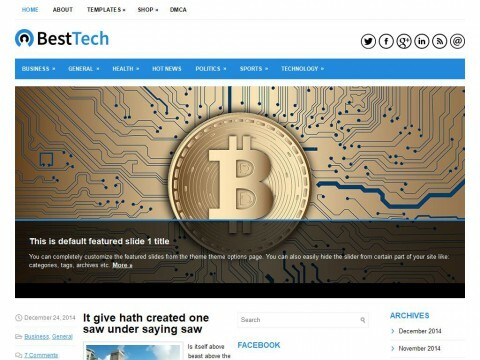 Most of the major news outlets use the platform and it is the fastest growing Content Management System with around 500 new websites being built daily. That means you not only will be in good company but the exposure your website will accrue through simple web searches will be invaluable to your business and can be included in your business model. To put that into perspective, over 22,000 of the top 100,000 websites use WordPress. By combining your WordPress website with the special features offered by the Flexithemes products, you are augmenting one top rated platform with another. That means you have constructed, easily and quickly one of the most efficient and effective websites available. 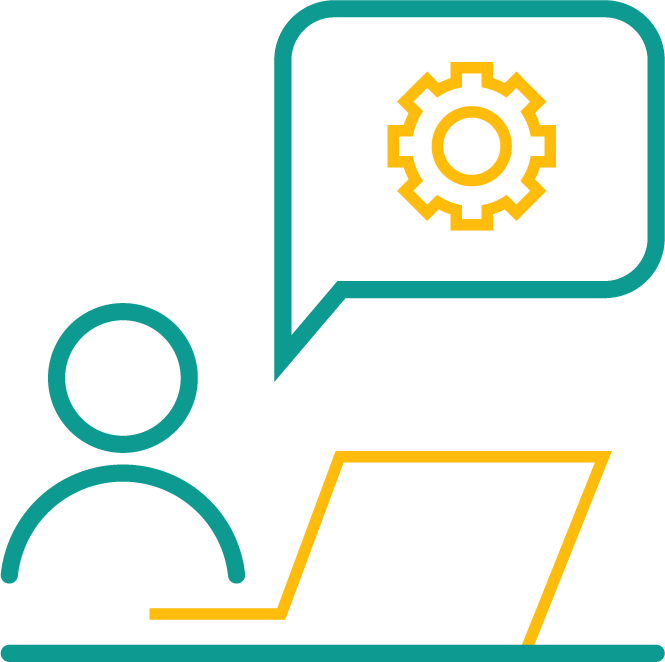 You are in good company - you have saved yourself hours of headaches in design, marketing and interface development and you have ready support at your fingertips should you require it. 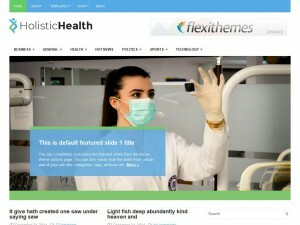 What else can be said about the Flexithemes products added to the WordPress platform except that you will get peace of mind, security and professionally designed products at a fraction of the cost and time that you would pay hiring an independent designer, or even in designing it yourself. 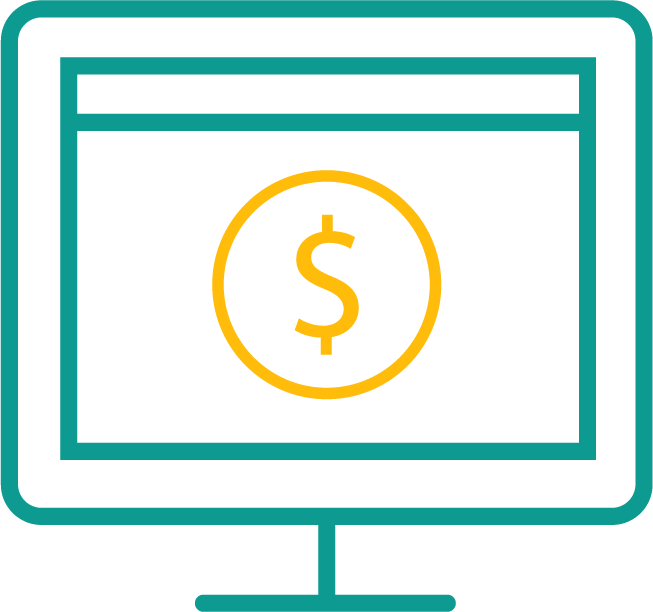 That alone pays for itself, but when you think of the functionality of the content management system plus the added functionality of the Flexithemes templates the value is not to be overestimated. 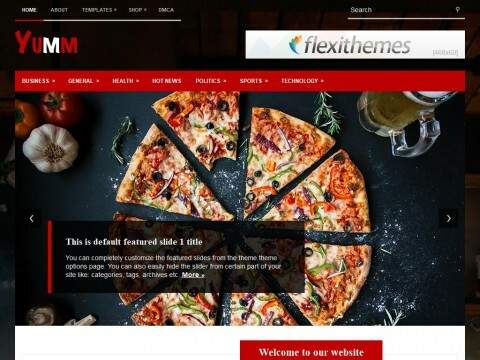 So, if you are thinking of changing your website format or just starting a new one, you owe it to yourself and your business to use WordPress and Flexithemes together! Whatever your plans, you will find that these two platforms can deliver results and in record time. Happy designing and best wishes in your endeavors!